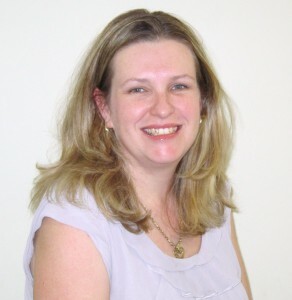 Sarah Elphinstone is Flourish’s Speech Language Pathologist. Since graduating in 1999 from the University of Qld, Sarah has spent the majority of her clinical career working with children in the disability sector across a number of government organisations both in Queensland and in the United Kingdom. She has considerable experience in working with young children, particularly those with significant development delays and diagnosed disabilities. She is a trained Key Word Sign Australia presenter (previously known as Makaton), is trained in PODD, Picture Exchange Communication System (PECS) & is a certified Hanen presenter for parent programs – It takes two to talk & More than Words. Sarah is also experienced in working with children with speech and language delays. Sarah is a practising member of Speech Pathology Australia and a member of AGOSCI (an inclusive group interested in enhancing the participation of all people with complex communication needs). Sarah is committed to ensuring her speech pathology knowledge and skills are current. Click here to find out what professional development activities Sarah has been participating in. Sarah also participates in the local Family and Baby Network (FAB) in Bundaberg. Sarah has lived in Bundaberg for the last 9 years and has enjoyed making Bundaberg her home to raise her three little boys. She enjoys being part of the Bundaberg community and is excited to be able to work with Bundaberg children and their families.